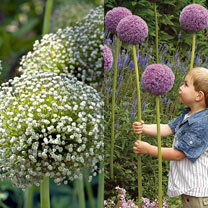 Good old alliums are the height of fashion and a must for any garden, and they never fail to create a talking point. 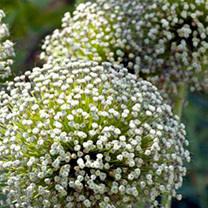 Affectionately known as ‘ornamental onions’, alliums are known for their dome-shaped heads and weird and wonderful blooms. 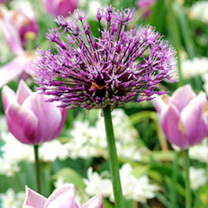 Allium bulbs are perfect for those of you who fancy adding something different to your spring garden, and our collection includes everything from the classic purple headed ornamental onions, to more unusual varieties. 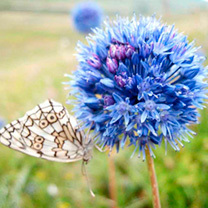 We love the fact that alliums attract pollinators to the garden, so they’re a great way to encourage bees and butterflies to visit your outside space and work their magic. 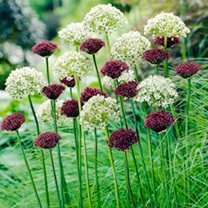 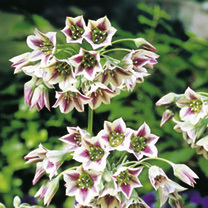 And don’t worry if you’ve never grown your own before, alliums are easy to grow and simple to care for. 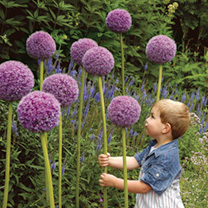 With football-like orbs of densely-packed flowers, our classic Ornamental Onions are available in rosy-violet or Mont Blanc, and they captivate small children as they tower above them in the garden! 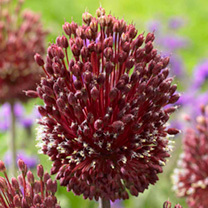 The Fireworks Mix of allium bulbs is truly spectacular, and it combines three colourful alliums whose myriad blooms explode into colour like fireworks. 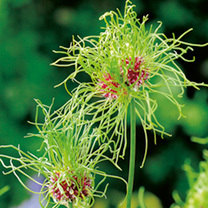 And then there’s Hair…which produces astonishing purple-hearted flowers with crazy green hair! 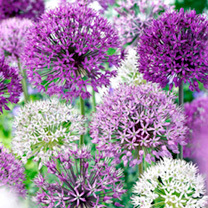 Whichever variety you go for, alliums are an easy way to add a unique touch to any outside space. 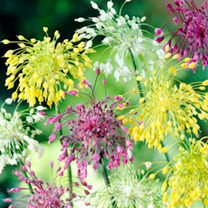 Effortlessly fun and right on trend, they’re one of our favourites.